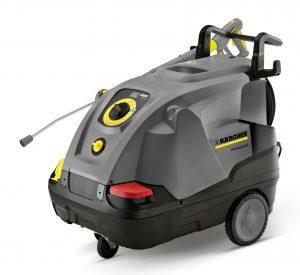 View more information about the Karcher HDS 6/12 C (240v) Hot Water Pressure Washer below, or alternatively, call us on 0800 859 5151 to get a quote. 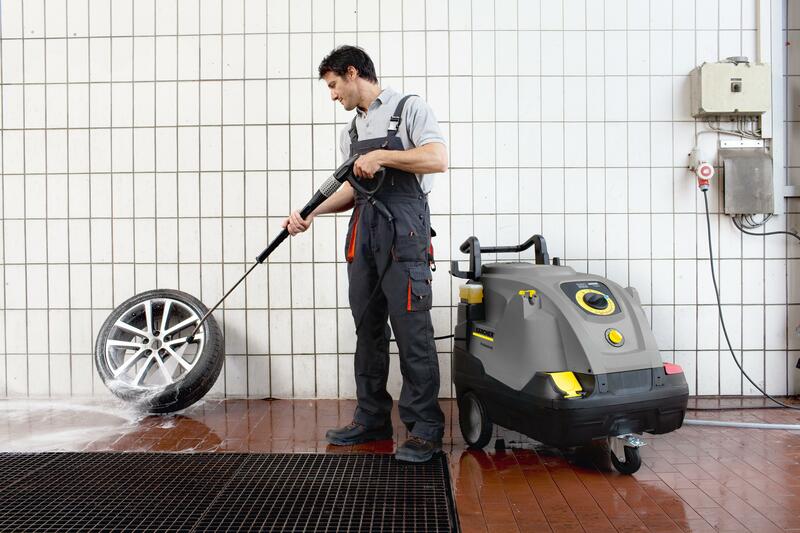 The new Karcher HDS 6/12 C (240v) Compact hot water pressure washer range offers a number of key cost-saving and time-saving benefits, not least its new eco!efficiency mode which reduces fuel consumption by 20%. 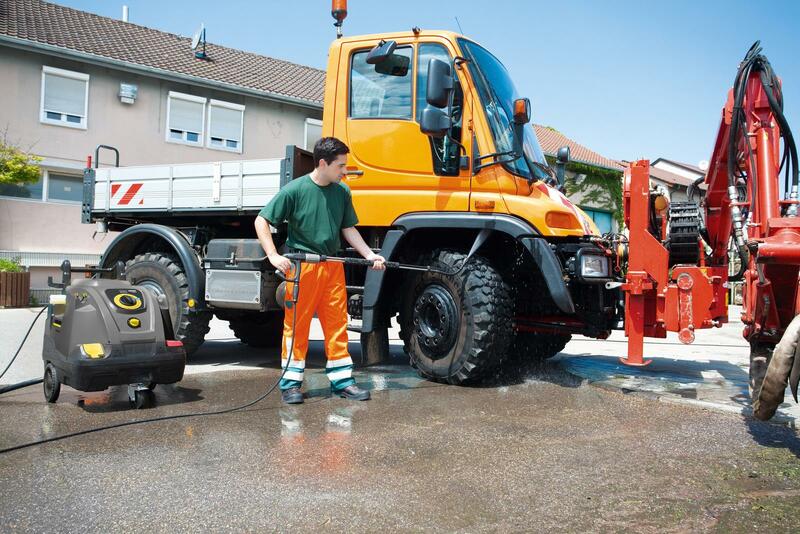 The new models are ideal for small and medium-sized enterprises that have to wash vehicles, machinery, parts or equipment on a regular basis. The Jogger design allows the machines to be moved quickly and easily and also to be used off-site. 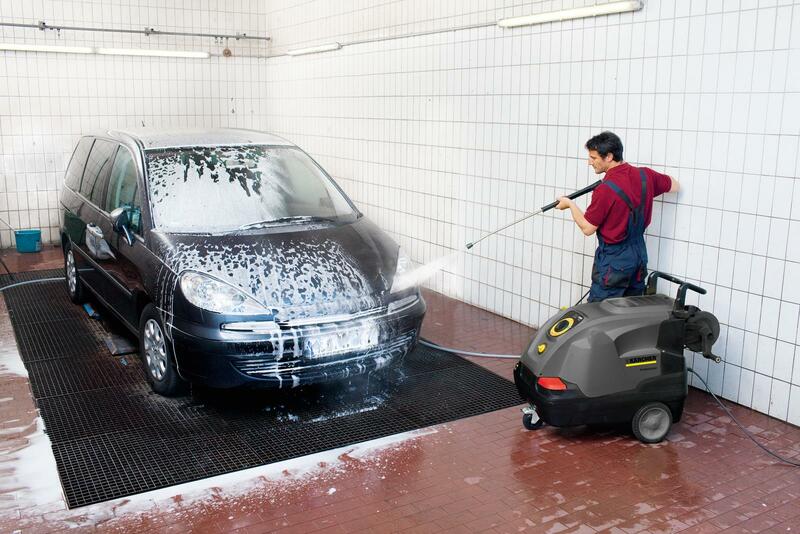 The HDS 6/12 C is our most popular hot water pressure washer amongst our customers due to its ease of use, reliability and performance. Features such as being able to produce steam and Kärcher’s unique Machine Protector system that prolongs component life and provides a 3-year burner coil warranty sets it apart from the competition. To get a quote for Karcher HDS 6/12 C (240v) Hot Water Pressure Washer please use the form below or call us directly on 0800 859 5151 to speak to one of our helpful staff.